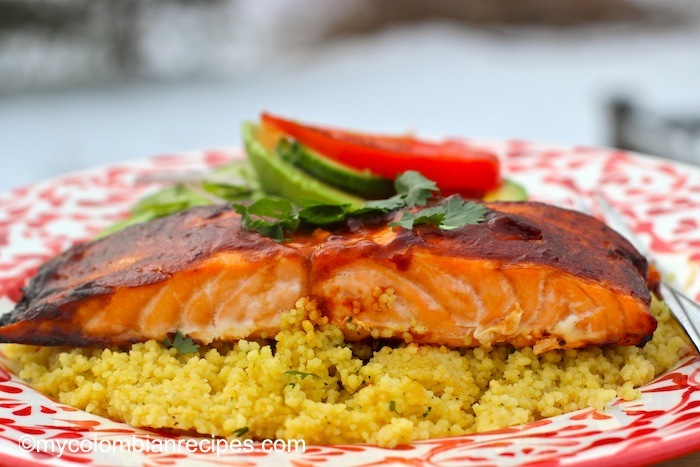 Salmon is one of the easiest foods to prepare in the kitchen. It can be prepared many different ways using the same basic method, but using a variety of different ingredients and flavors. 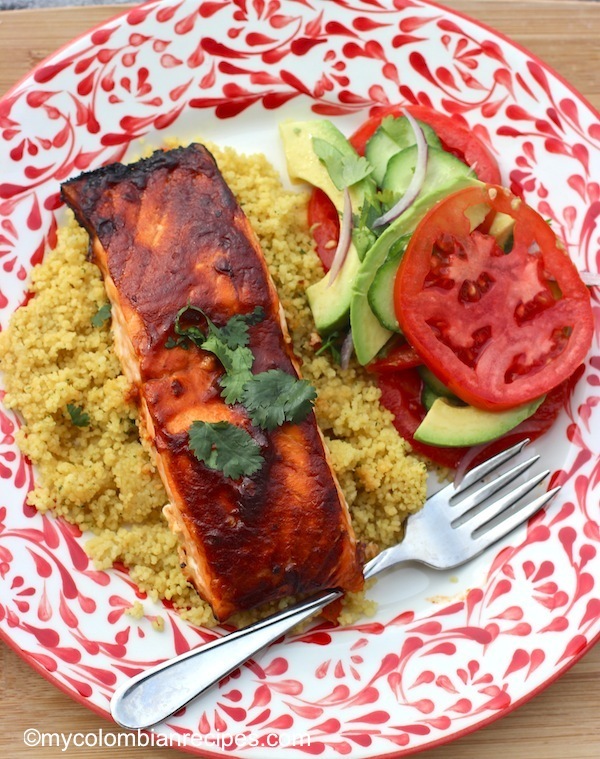 I broiled this salmon with a spicy and sweet chipotle sauce. Sometimes the best recipes are the simplest, and this is one of those dishes. You probably have most all of these ingredients in your fridge right now, so if you want, feel free to whip this one up tonight. It only takes a few minutes! 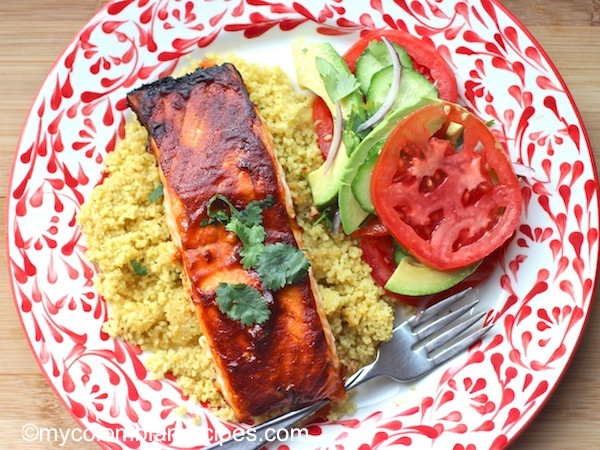 This gorgeous Spicy Chipotle Salmon is full of flavor and pretty enough to serve to guests, but also makes a wonderful weeknight dinner. This is about as perfect a simple meal as I could imagine. Cooking it in the oven it is by far the easiest method imaginable. 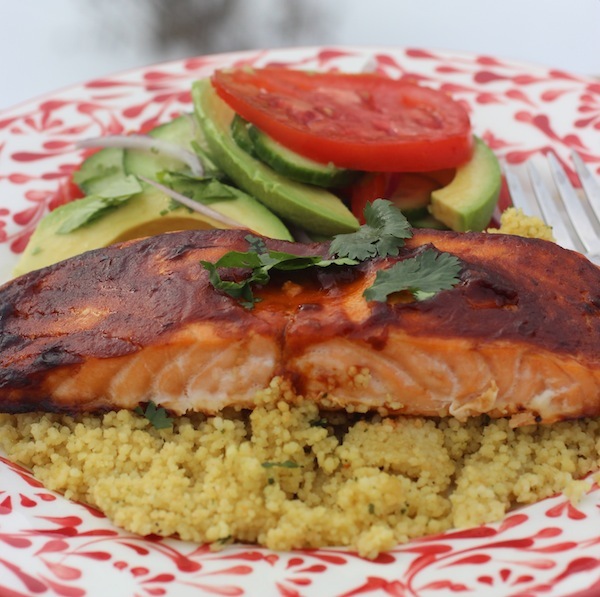 So if you are looking for a new way to make salmon that is healthy and easy, try this recipe. I loved the simple yet extremely bold flavors of the dish. 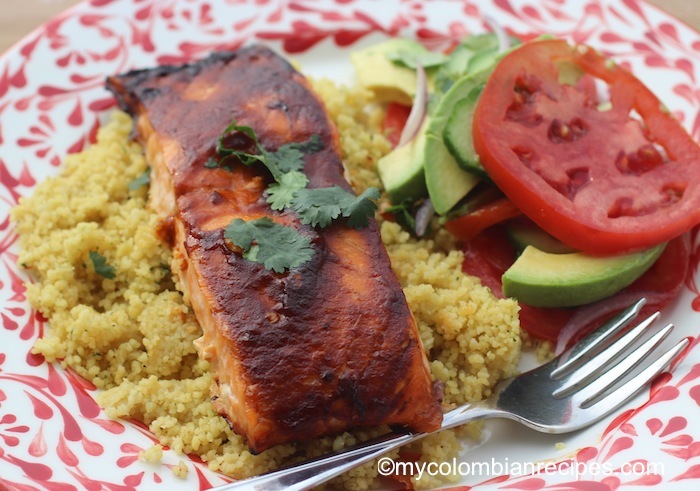 The chipotle works wonderfully, infusing the salmon with its spicy and smoky aroma. 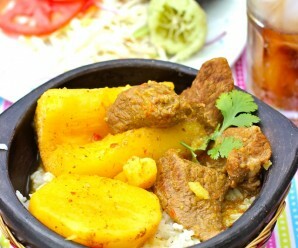 Served on top of couscous or rice with a simple tomato salad on the side and a glass of wine, it is the perfect meal. If you are not familiar with chipotle peppers, they are smoked dried jalapeño peppers. 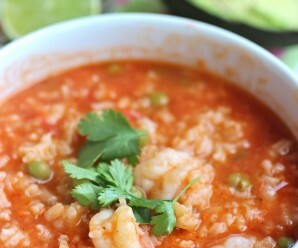 I used canned chipotles in adobo for this recipe. You can find the canned chipotles in adobo at most grocery stores. Place the chipotle pepper, honey, orange juice, garlic clove, salt and pepper in the blender. Blend until well combined. 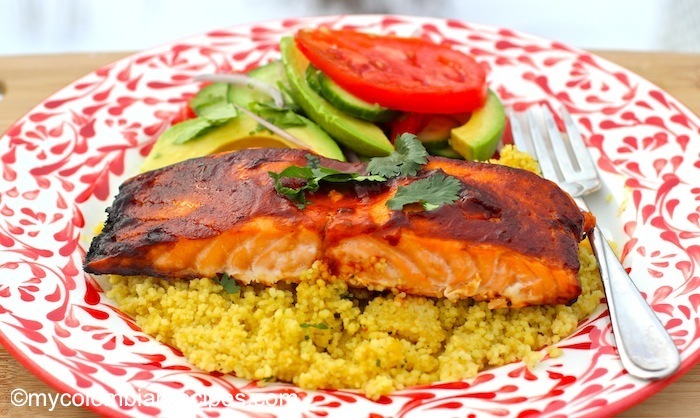 Place the salmon fillets on a large dish in a single layer. Add the sauce to the salmon and turn to coat. Let stand at room temperature for about 7 to10 minutes. Preheat the broiler. Place the fillets on a foil-lined rimmed baking sheet. Broil until the fillets are caramelized, about 3 to 4 minutes. Carefully turn the fillets and continue broiling until the salmon is cooked through, about 3 to 4 minutes more. Serve warm. Always make sure that your salmon is really fresh and preferably with the barest minimum of visible fat (that is all the whitish grey stuff between the layers of orange meat and between the meat and the skin because salmon fat goes rancid very quickly and will make the whole dish taste of rancid fat. Another quick and easy recipe is to poach it in milk or white wine with herbs and spices – this can be done in a microwave to avoid heating up the kitchen too much in hot weather. Fish is so quick and the best. 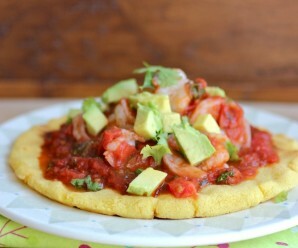 And amazing results can come out of simple recipes…just like this one. yeah I found out recently the truth behind chipotle lol. My favourite fish! This looks simply scrumptious, Erica. Just wondering if anything can be substituted for the chipotle. My family doesn’t care for the flavor of jalapenos and I don’t think they’ll like the chipotle either. The salmon looks so good Erica. One of my favorites. Such a beautifully constructed plate. 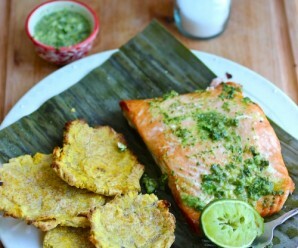 It looks beautiful – I try to eat fish once a week so I’m always looking for new recipes for it. Yhis would be great on the bbq too.